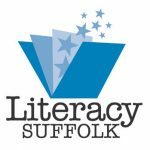 The library proudly hosted a public ceremony on June 7th to celebrate the MCPL Adult Learning Center and to recognize the accomplishments of the students who worked diligently to become U.S. citizens. The offi ces of Senator John Flanagan, Legislator Tom Muratore and Councilman Kevin LaValle honored the new citizens with certifi cates commemorating their achievement at this special event. 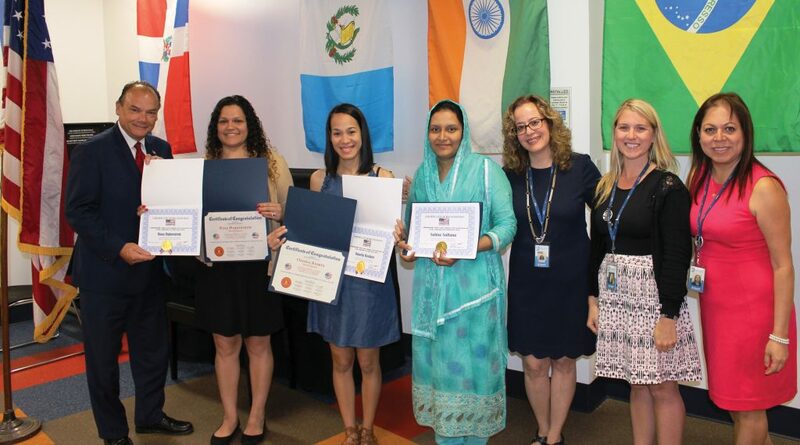 Pictured (l to r): Legislator Tom Muratore’s Chief Legislative Aide, Robert Martinez; new citizens Rosa Haberstroh, Onoria Keskes and Salma Sultana; Sophia Serlis-McPhillips, library director; Amber Gagliardi and Gilda Ramos, librarians, MCPL. New Citizens not pictured: Samar Abad-Elaziz, Hilda Grijalva, Kaur Harpreet, Polyanna Quintanilha Kirschenheute, Alonso Lara, Maryelly Leventis, Nusrat Mehmood, Shakeel Mehmood. Next News »Thank You To Our Teens!